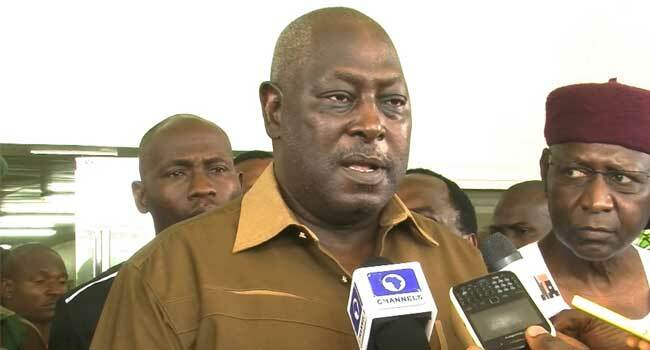 A former Secretary to the Government of the Federation, Mr Babachir Lawal, says he is happy with the Economic and Financial Crimes Commission (EFCC)’s investigations into allegations of corruption against him. Mr Lawal said this during an exclusive interview with Channels Television’s Hard Copy.“I like it (the investigation). In fact, I had always wanted the EFCC to be involved because the EFCC has the capacity both in terms of equipment and personnel to get to the truth,” he said. Mr Lawal, who was fired as SGF by President Muhammadu Buhari on October 30, 2017 after being indicted and investigated for corruption, does not expect his relationship with the President to affect the investigation. President Buhari fired Mr Lawal, more than two months after he received the report of the probe panel he set up and after heavy criticism of how he handles graft allegations against his allies. .Before being fired, Mr Lawal was on suspension for more than three months to allow for the investigation. He was suspended in April for allegedly violating the law and due process in the award of contracts under the Presidential Initiative on the North East (PINE). In suspending him, the President set up a three-man panel headed by the Vice President. Attorney-General of the Federation and the National Security Adviser were the two other members of the panel. The committee was given 14 days to complete its investigation and submit its report to the President. Watch the full interview on Hard Copy at 8:30 pm only on Channels Television.